Wonderful page, Anne Marie and I’m happy to see your family back close again - I know that’s so special to you. Your Mandarin flower is beautiful and I really like the colors you used on this page. What a shame about the corner store. A very pretty page. Beautiful photos! How nice that you could be with your daughter and the grands again. That's too bad about the corner store. 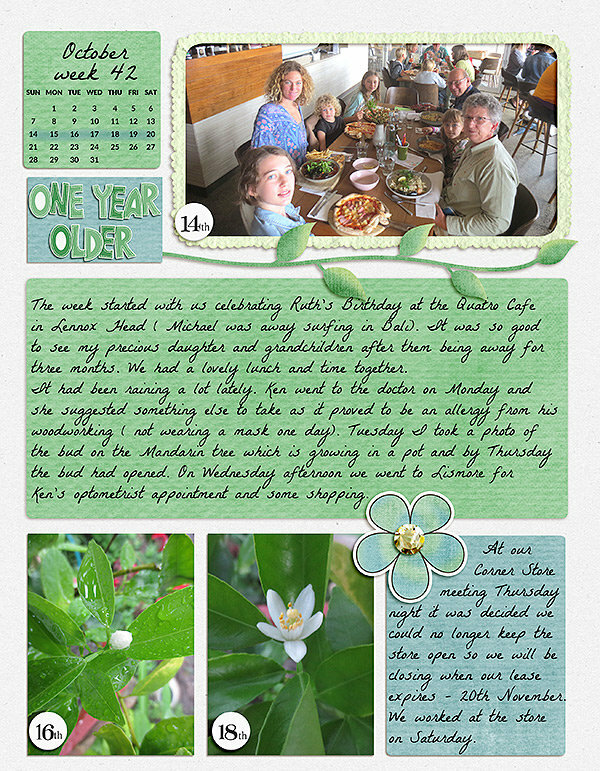 You've put another lovely page together and I especially like the mix of spring greens. Such lovely colors and journaling on this. I love the frame and lovely flower photo. A lovely week recorded.